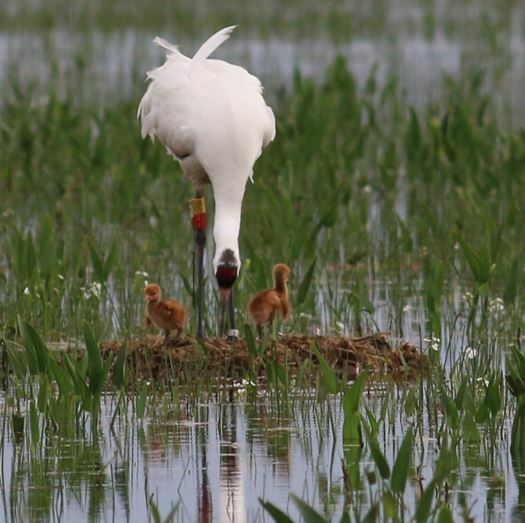 In the fight against extinction, score one—actually, make that two—for Whooping Cranes. For the first time in 75 years, a pair has successfully nested in Louisiana, producing not one but two fuzzy, wild-born chicks. With the bird’s total population hovering roughly 600, every new addition counts—and counts big. Louisiana’s last wild Whoopers disappeared just after World War II. 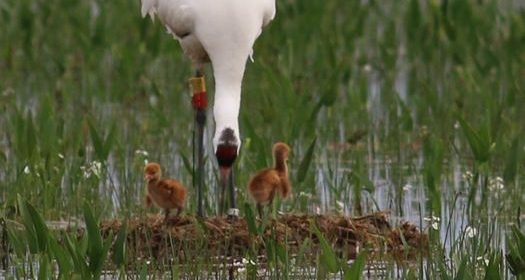 In 2011, state and federal wildlife agencies teamed up with Louisiana’s Department of Wildlife and Fisheries to begin releasing captive-bred birds into the White Lake Wetlands Conservation Area. A pair from the released batch set up housekeeping last month and lo and behold, eggs quickly gave way to adorable chicks.